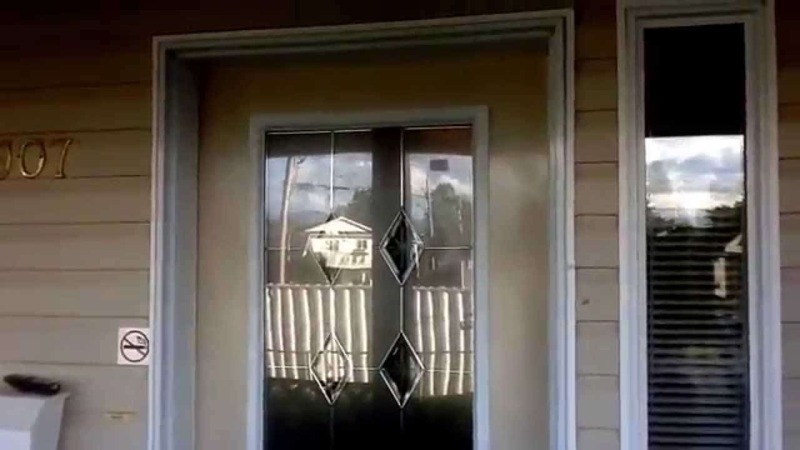 When you walk up to a person’s home, what’s the first thing you see? The front door, of course! 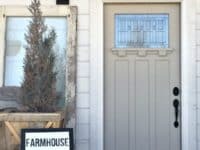 We might not think of our front doors very often, but they’re actually very important because they’re the thing that greets your guests and provides a first impression of your home. 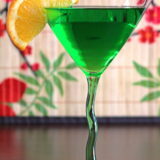 That’s why we’ve been thinking about giving ours a makeover lately! 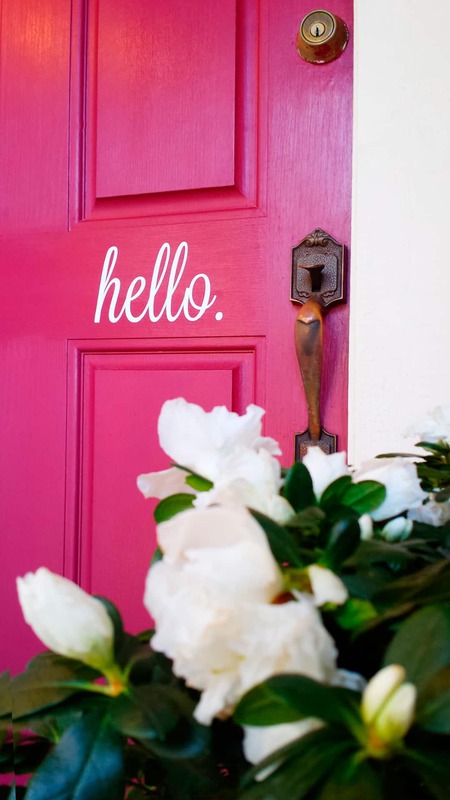 We’ve also been keeping our eyes peeled for awesome ideas that will help us transform the door in a fun, DIY way. 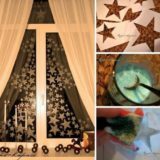 Just in case you love the idea of getting creative with your front door just as much as we do, if not more, here are 15 of the nicest and most crafty ideas that we’ve come across in our search so far! 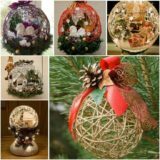 Perhaps your personal style is quite sleek and simple and that’s reflected in your home as well, so you’re hoping to keep the front door along those lines too? 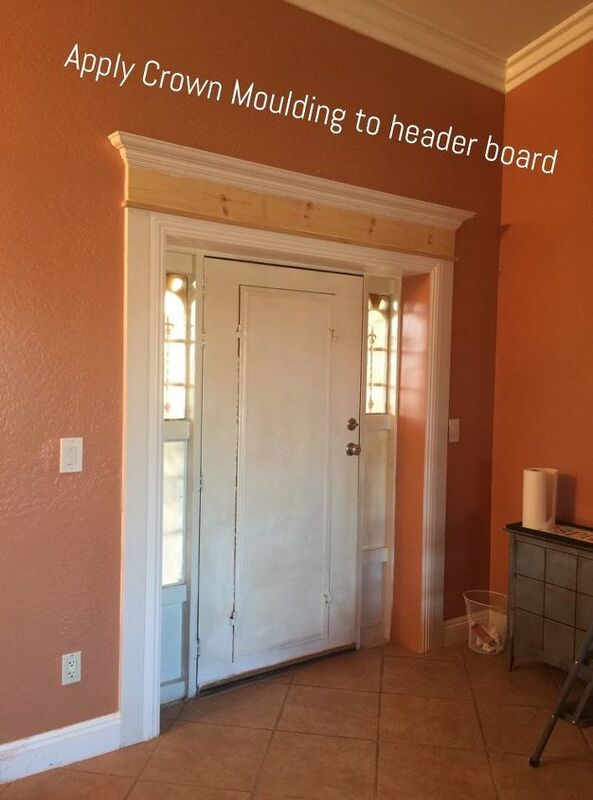 Then maybe a simple coat of paint is all your door really needs to give it a new lease on life. 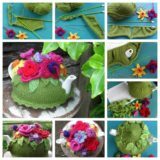 Make sure you’re doing it properly and in a way that will look great and last by following some of the suggestions you’ll see on The Crafty Blog Stalker. 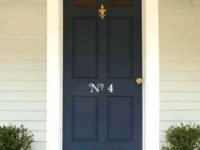 Is the door to your apartment actually quite plain; the kind that’s just a singular board straight down, without much personality to offer up? 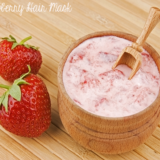 Then we’d definitely suggest giving it some texture or visual! 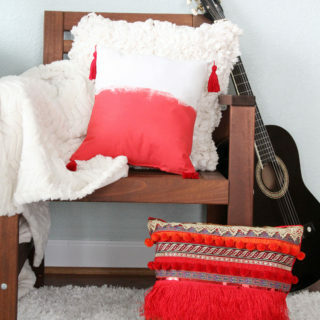 We love the way Jenna Sue Design Co. added easy paneling to theirs for a look that’s a little more interesting and inviting even though it’s quite subtle. 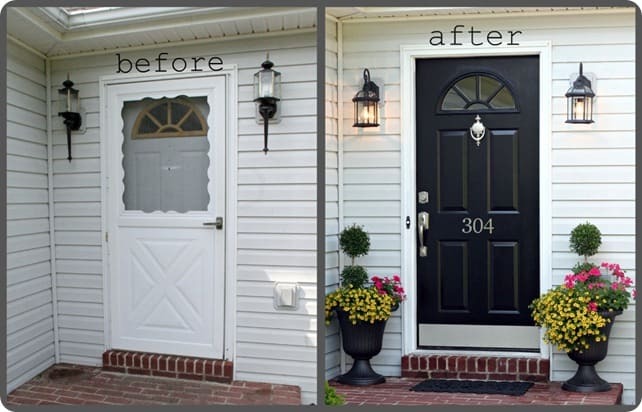 If you’re going to do a paint based makeover on your front door and put in the time and effort that takes, would you rather make it a little more unique than just choosing a dark colour that doesn’t stand out much on the street? 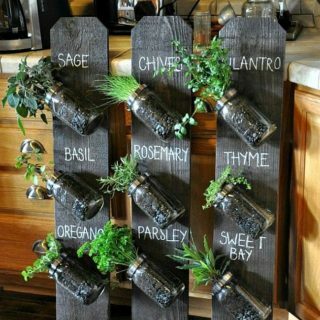 Then perhaps you’d rather choose a shade that will add a little more personality to your home’s exterior! We love the way this feature on Design Fixation brightens up the neutral exterior walls with a bit of cheerful pastel. Maybe you’d rather make the door you’re transforming a little more impactful all round, since it’s currently quite dark and a little outdated looking? Well, just because you want to brighten things up a little doesn’t mean you have to choose a colour that really stands out wildly if that’s not your personal style. 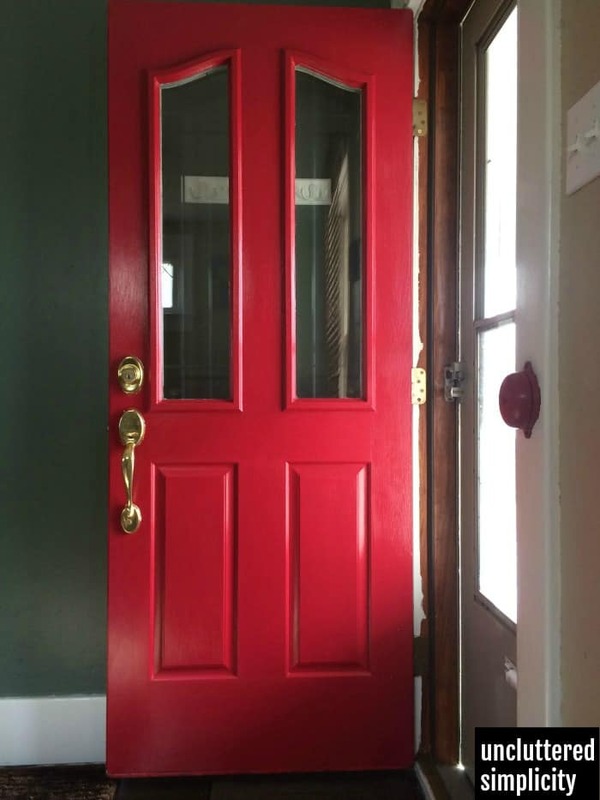 Instead, check out how A Merry Mom got the same effect by painting the door itself a brighter, lighter colour but keeping the trim around it dark for a bit of balance. 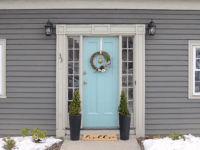 What if the door itself is quite fine and you’re okay with the concept of keeping it as is, but you just can’t help feeling like some of the home details around it are a little outdated and worn looking? Then we think you should take a look at how Fab Everyday gave their front door the simplest, subtlest, but still impactful update just by replacing the hardware on their door, like the deadlocks and handles, with something new and more contemporary looking. 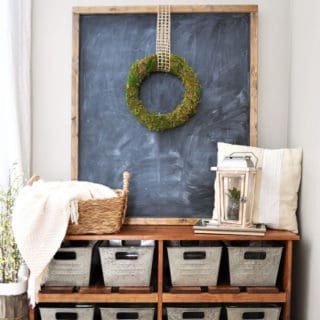 Have you actually always thought that the simple square frame around your door looks a little too simple and unfinished for how ornately you’ve decorated the rest of your house, leaving visitors with an underwhelming interior impression as they’re leaving to the outside? 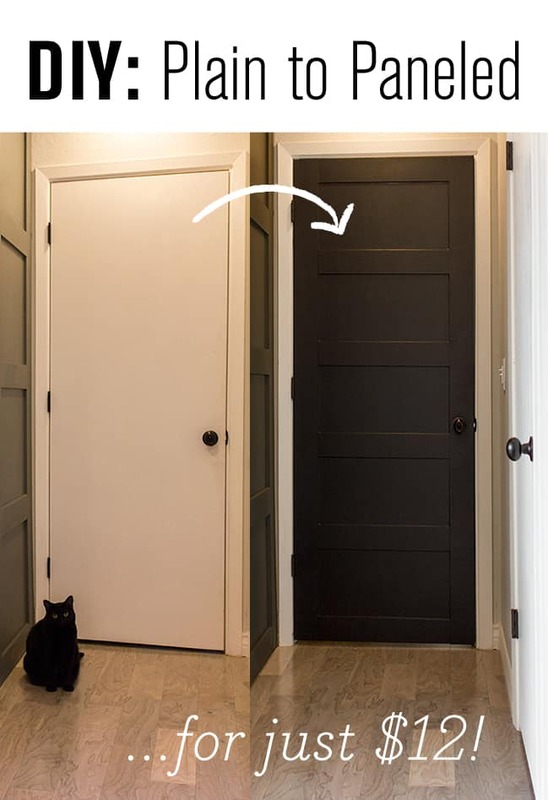 Then maybe you’d get along a little better with something like this tutorial from My Cottage Charm that shows you how to add crown moulding at the top of your door’s interior frame to make things look slightly more grand. 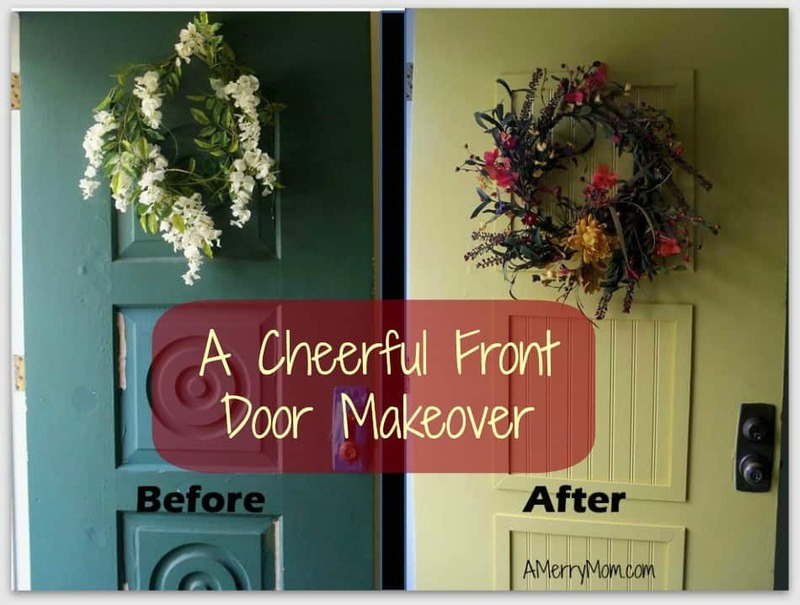 Perhaps, now that you’re looking through different project options, you’ve realized that you’re not actually ready to take on a whole overhauling project but you’re still intent on adding some kind of welcoming detail to your door for now, until you can do more? 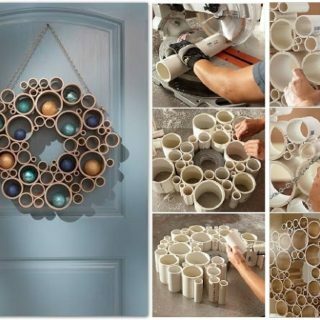 Then maybe a simple, welcoming door wreath is all you need! 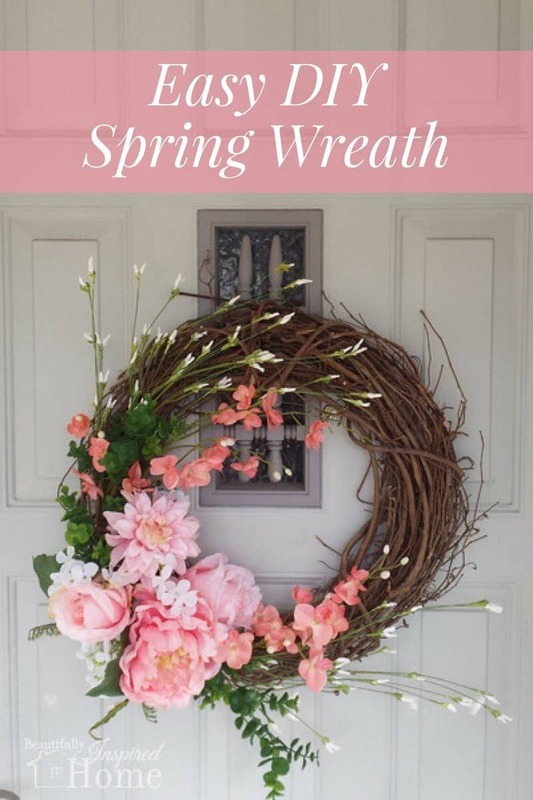 Check out how Rocky Mountain Bliss made this lovely floral wreath that’s perfect to hang for spring. 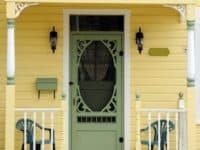 Are you living in the kind of little old house that looks like a cottage and once held a lot of charm, but now it simply looks a bit outdated, with an old screen door that’s always annoying you with the way it snaps shut? 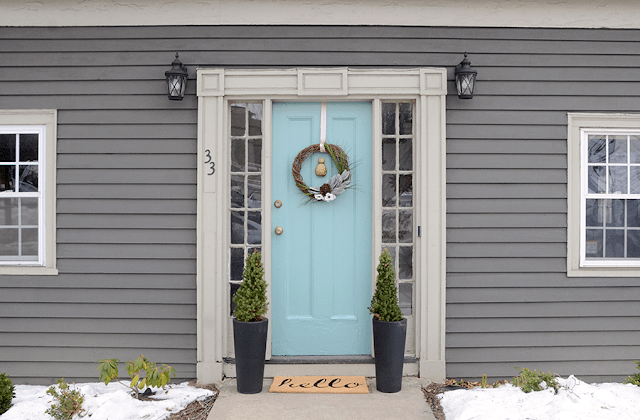 Then we’d definitely suggest taking a look at the way 320 Sycamore removed their screen and updated their door with some paint, some how hardware, and some lantern and planter additions to really round the space out and make it look complete. 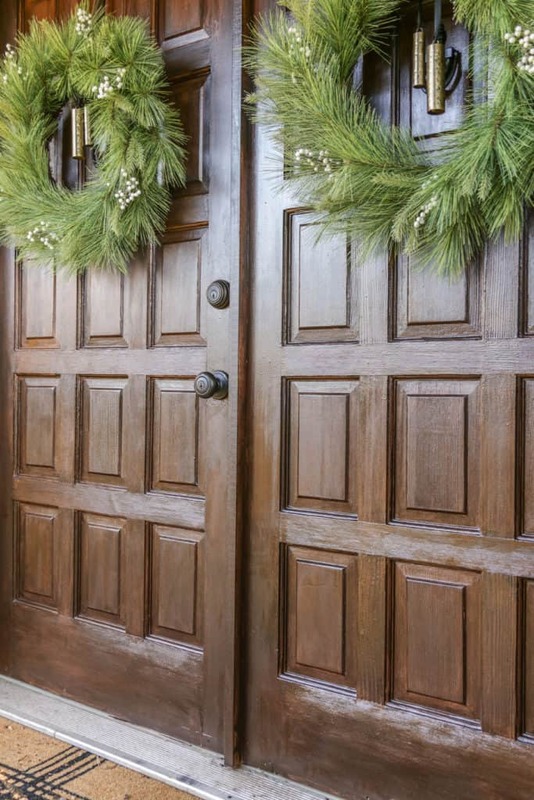 Perhaps your old wooden double doors are something you still really love about your home but you can’t deny that they’re been looking a little worn lately? Well, rather than changing them all together, why not just give them a little love to bring them back to life without losing their original charm? 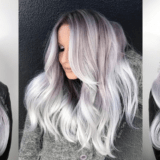 Designing Vibes is here to show you precisely how to do that using gel stain. 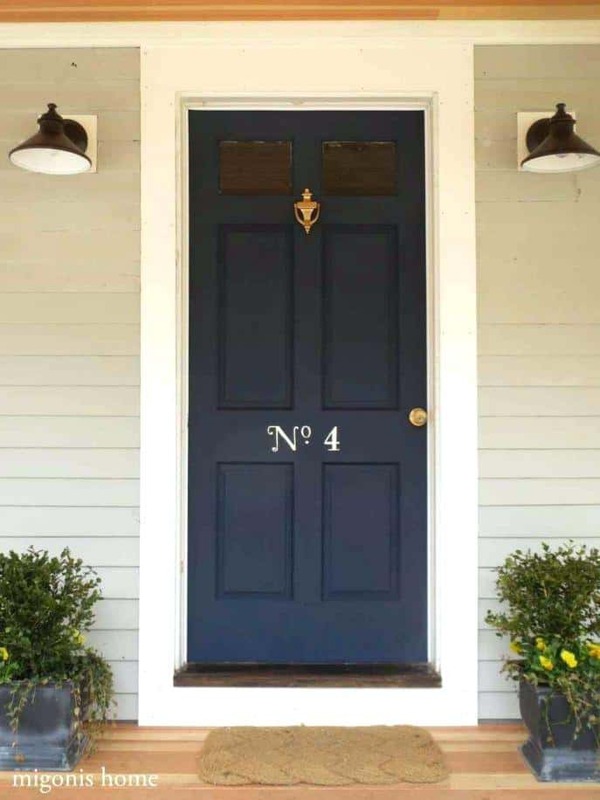 Maybe you’ve actually invested a lot of time, effort, and money into slowly turning your home into a farmhouse chic haven but one of the last details to really be caught up in the authentic aesthetic is the front door itself? 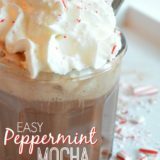 In that case, you just might be the perfect person to give this lovely tutorial from Twelve on Main a try! 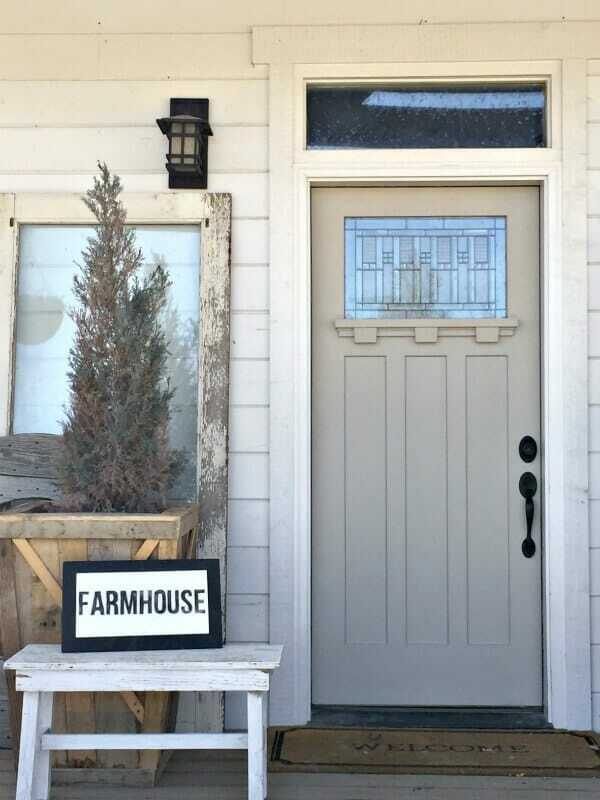 They make suggestions for adding and removing details to make the door look more like that of an older styled farmhouse cottage rather than a modern house on a suburban street. 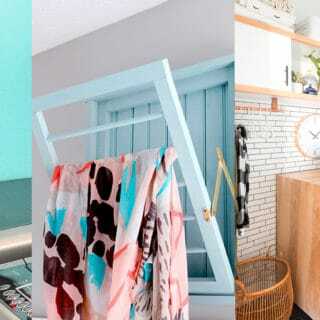 We’ve already talked about the idea of removing and old screen door that you don’t find useful or stylish anymore, but what if a kitschy, vintage sort of aesthetic is actually precisely what your aiming for in your home decor scheme? 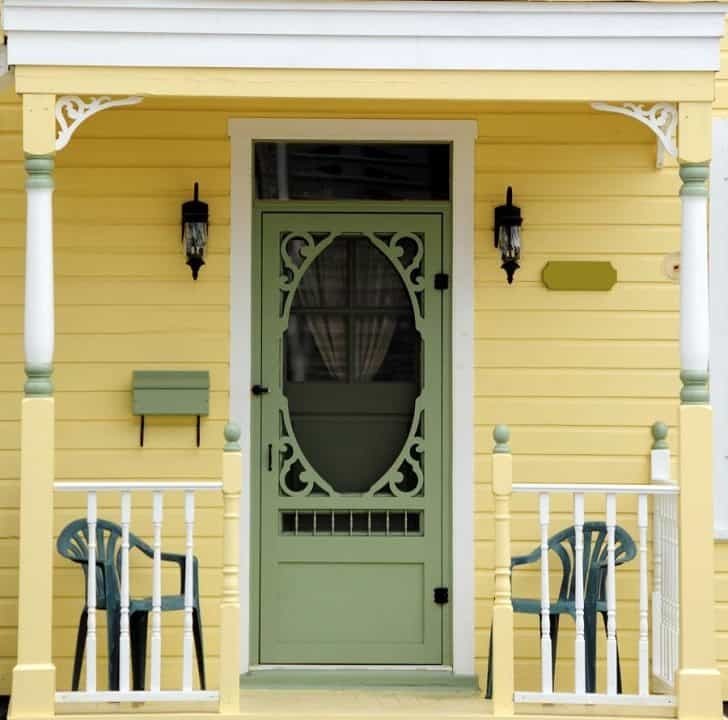 In that case, we can pretty much guarantee you’d prefer this tutorial from Dea Vita that actually suggests adding an old, ornate looking screen door to really drive the style of your house home right from the porch. 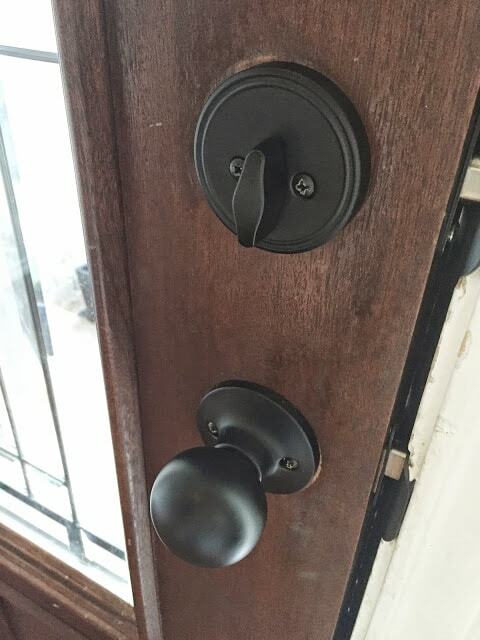 Are you actually a pretty handy person who has been looking for a slightly more challenging, hands-on tutorial that will help you really alter the door you’ve already got to work with? 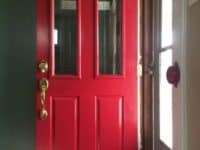 Well, if brightening up your entryway a little bit sounds interesting to you as well, then Dan Wheeler‘s tutorial for adding a window to your front door might be just the thing you’re looking for! 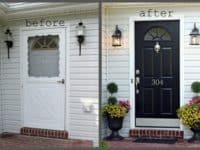 Perhaps you’re still finding yourself scrolling through and considering how you can give your front door a slightly more welcoming personality without really altering it in a heavy, hands-on way because you’re strapped for time and resources? 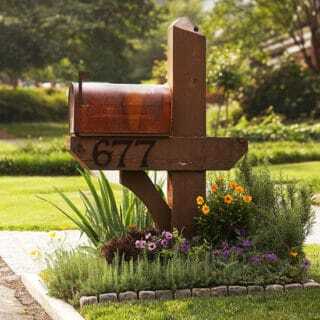 Then we have a feeling you might prefer the way Wallums suggests using simple vinyl decals to add a greeting right there on the front of your house. 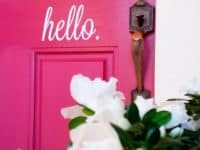 Are you actually feeling rather torn between the idea of painting the door or changing up its hardware details but you’re new to the concept of home DIY and flipping back and forth between several tutorials sounds a bit overwhelming? Then we’d absolutely suggest taking a look at this single resource from Uncluttered Simplicity that shows you how to do a combination of the things we’ve mentioned while working on an affordable budget. 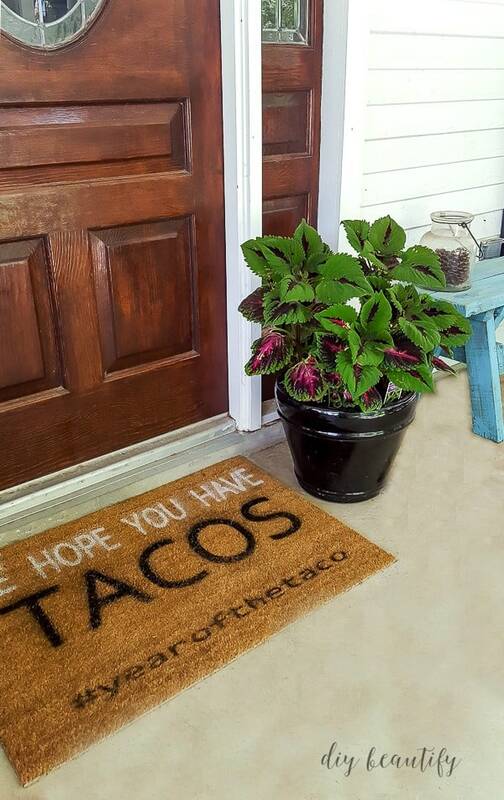 When all else fails and you can’t find the style or time you need to do a bigger overhaul on your front door and greeting space, tide over the time until you can tackle that larger project by adding a cheerful or amusing doormat! 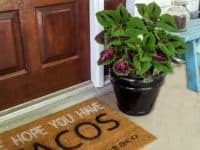 This tutorial from DIY Beautify shows you how to add custom text to a pre-made, store bought doormat so you can greet your guests however you please or start making them laugh even before they’ve knocked. 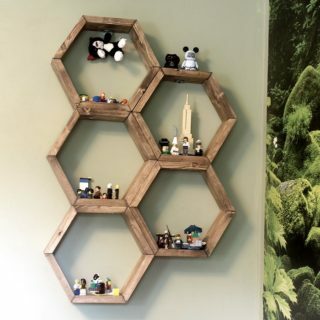 Affordable Home Makeover Ideas: DIY Shelves that are Easy to Craft! 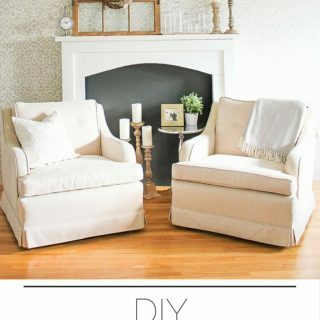 15 Best Faux Fireplaces that You Can Make On Your Own: Ideas and More! 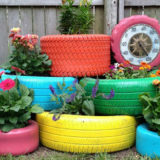 From Salvaged Junk to Stunning Décor: DIY Projects that Make a Difference!